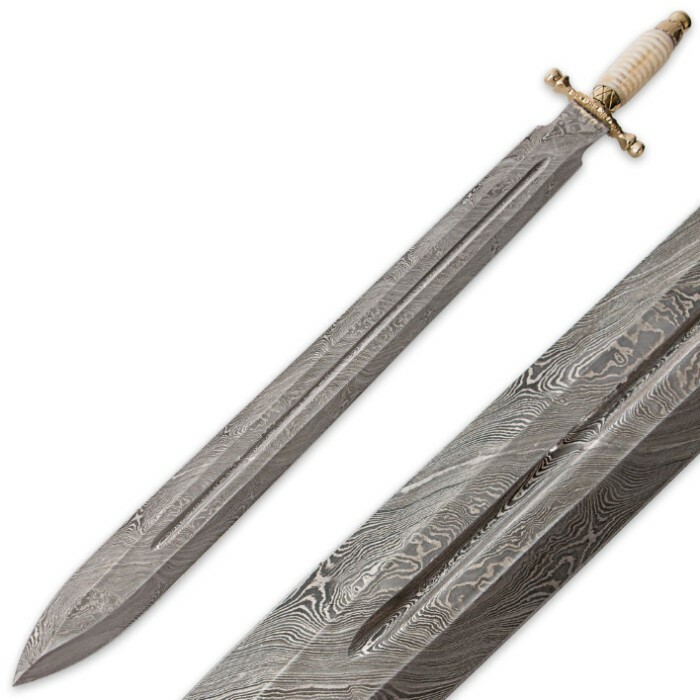 It is hard to match the beauty of a hand folded Damascus blade! Loaded with fine details from top to bottom, this piece has a masterful double edged blade flowing with intricate layers of steel. The well defined edges give way to a spear point and are accented by the center blood groove. The handle has been crafted with equal attention to detail. The solid brass guard and pommel are adorned with fileworked accents and polished to a shine. A hand carved bone handle offers a secure and attractive grip. 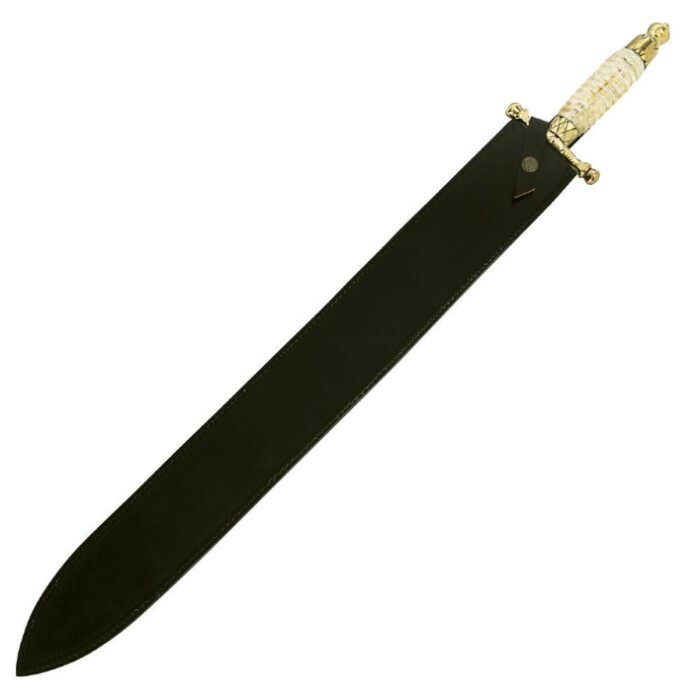 Includes a custom fitted leather sheath with secure closure. Measurements: 24 in. blade, 30 in. overall. 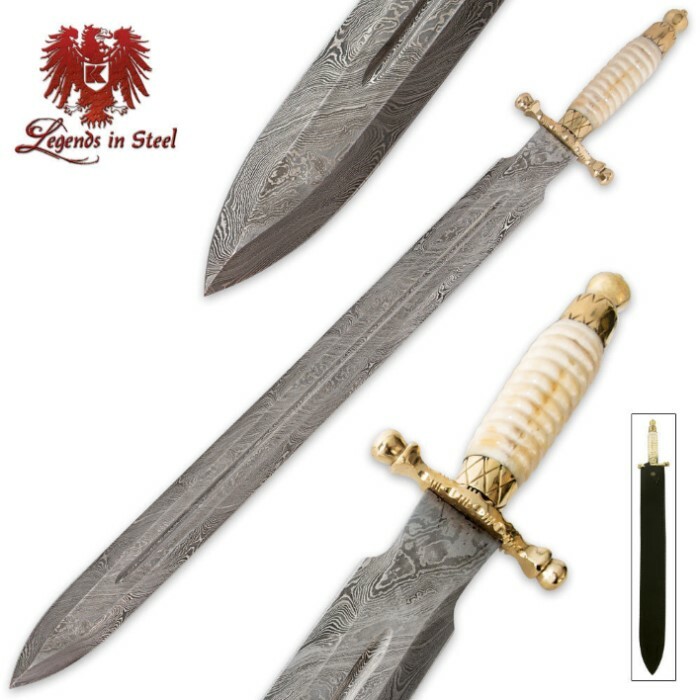 I got my sword on time and could not be happier with my purchase. The sword is little heavy for a one handed sword but way worth the price. the blade is hand made, the bone is polished and feels like full tang. It was bigger than I expected I am 6'5 so that should tell you something. I will being buying more product from Truesword's in the future, also great job on the packaging Theresa.